On Trend Hiring: Research Reveals How Retailers Can Attract In-Demand Talent This Holiday Season | ManpowerGroup Inc.
- Sales representatives among top five hardest-to-fill roles in the U.S.
MILWAUKEE, Oct. 29, 2018 /PRNewswire/ -- As the holiday season fast approaches, employers in the retail sector need to work even harder to attract workers to meet growing consumer demand. In online retail or in-store, U.S. retail candidates value flexibility and place greater emphasis on brand reputation when choosing where to work, according to a new report from ManpowerGroup Solutions (NYSE: MAN) and the Retail Industry Leaders Association (RILA), the trade association for America's retailers. "Retail jobseekers are looking to fit a job into their lives and not their lives into their job," said Melissa Hassett, Vice President of Client Delivery at ManpowerGroup Solutions. "Sales representatives are in the top five hardest roles to fill in the U.S. That means that in this competitive labor market, employers should understand that candidates are consumers too and need to work hard to attract people using a strong employee value proposition. What's bringing retail workers into the role is the need for flexibility, an attractive benefits package and opportunities to upskill and earn more." The report, What Retail Employers Need to Know about Candidate Preferences, provides retail insights and practical tips on how to attract and retain workers. ManpowerGroup Solutions surveyed nearly 2,500 retail workers across the U.S. to understand how they want to work. Benefits from healthcare to travel subsidies, childcare or gym memberships matter more for retail workers - more than half (52%) say benefits are a top factor when making career decisions, up 5% from the last year. Ninety-two percent of retail workers rank employer-employee trust as the number one factor in deciding where to work, versus 83% across all industries. "As one of the nation's largest employers providing careers and opportunities to over 42 million Americans, the retail industry must continue to adopt hiring practices that offer employees the benefits and flexibility they crave," said Evan Armstrong, Vice President of Government Affairs at Retail Industry Leaders Association (RILA). "Whether it's Starbucks offering hourly workers paid-time off to care for sick family members to Amazon offering full tuition reimbursement, we see employers turning to new strategies to recruit, retain and develop a workforce in an omnichannel marketplace. 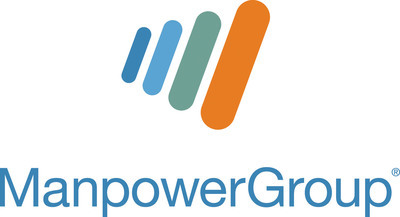 We are pleased to partner with ManpowerGroup Solutions to help the industry cultivate a workforce in a tech-forward industry by prioritizing the preferences of job-seekers." To learn more about ManpowerGroup Solutions' candidate preferences research and practical strategies to close the retail talent gap, download What Retail Employers Need to Know about Candidate Preferences, visit https://www.manpowergroup.us/campaigns/manpowergroup-solutions/retail/. The Retail Industry Leaders Association (RILA) is the trade association for the world's largest and most innovative retail companies. RILA members include more than 200 retailers, product manufacturers, and service suppliers, which together account for more than $1.5 trillion in annual sales, millions of American jobs, and more than 100,000 stores, manufacturing facilities, and distribution centers domestically and abroad.